Three convenient train lines for getting around the Wolverine State and beyond. 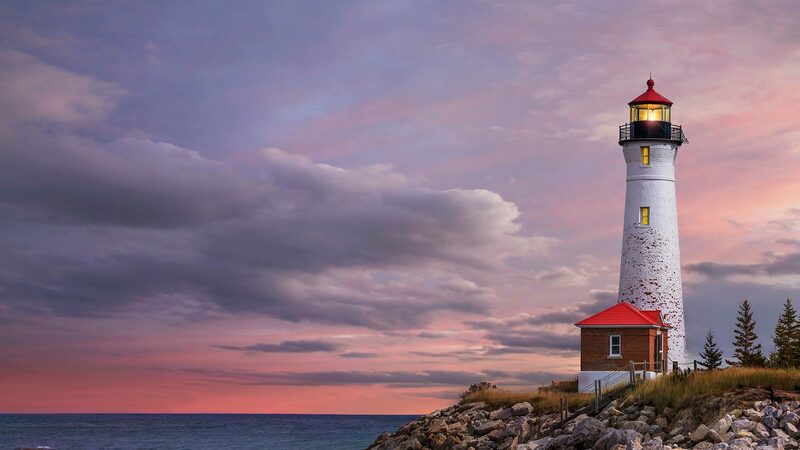 The Pere Marquette connects Chicago and Grand Rapids, MI, revealing the natural beauty of Michigan's West Coast. Stop along the way to enjoy the area's wonderful beaches and rich Dutch heritage. Or head east to the shores of Lake Huron aboard the Blue Water. 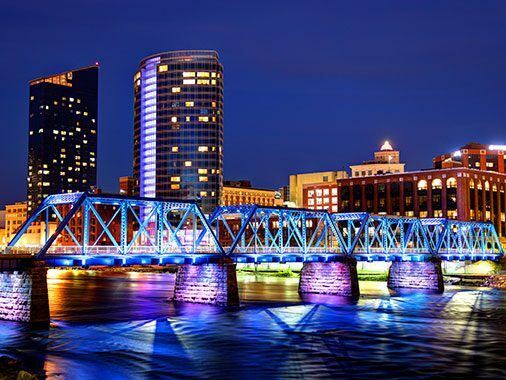 Passing through the famous cities of Kalamazoo, Battle Creek and East Lansing, the Blue Water ends in Port Huron, one of Michigan's oldest cities and a place rich in the maritime history of the Great Lakes. There's also plenty to see along the route of the Wolverine. 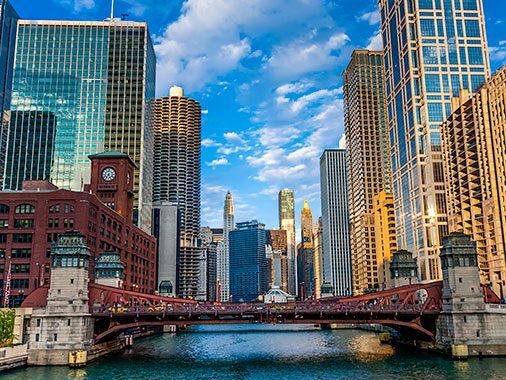 Peer out over Lake Michigan as you head east from Chicago to visit the "Motor City" — Detroit, MI. 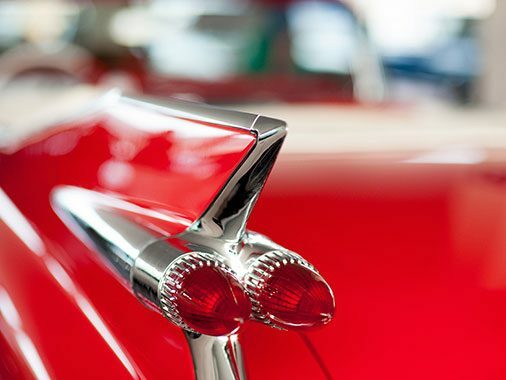 There you can learn how the automobile changed America at the Henry Ford Museum, relive the famous Motown sound or even catch the excitement of a Red Wings hockey game. Enjoy an enhanced travel experience in Business Class on Michigan Services and you’ll have access to exclusive amenities such as a fully refundable ticket if canceled prior to departure, 25% point bonus for Amtrak Guest Rewards members, seating in a dedicated car with a service attendant, complimentary coffee, tea and newspaper, and access to the Metropolitan Lounge in Chicago. For business or pleasure, to and from Michigan, Amtrak is the easiest, most comfortable way to travel. Surround yourself with Great Lakes and great destinations. Let Motown’s music and motor history move you. 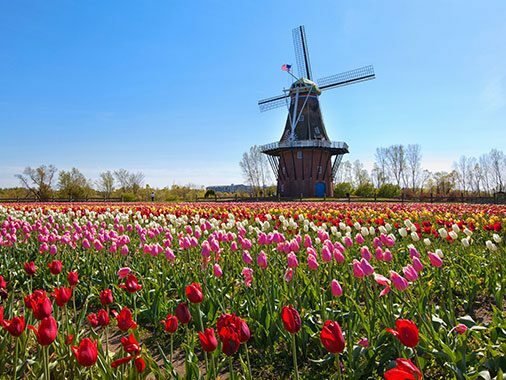 Tiptoe through the tulips in Holland or dig your toes in the sand at Indiana Dunes National Lakeshore. 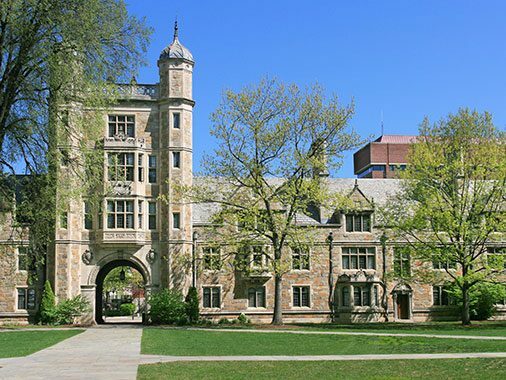 Show your school spirit in the vibrant college towns of South Bend, East Lansing and Ann Arbor. Celebrate the city of innovators at the Henry Ford Museum and the Motown Museum. Savor the city’s rich ethnic history with the great flavors of Greece, Lebanon and Poland. 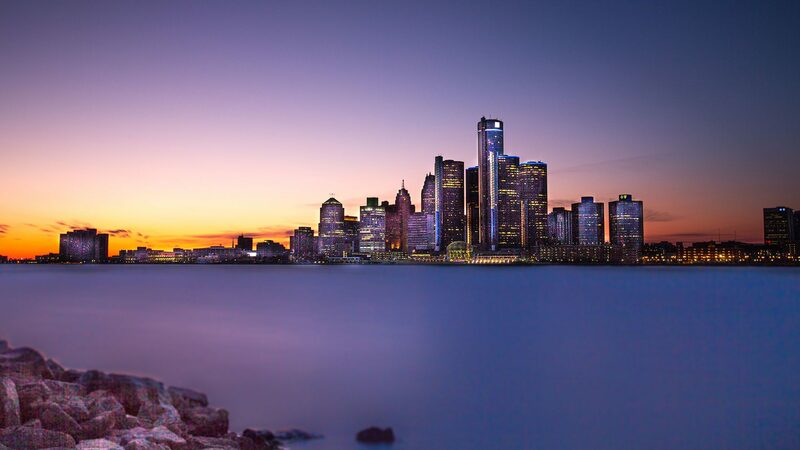 Get cultured at the Detroit Opera House and the Detroit Institute of the Arts or thrill to the speed and spray of hydroplane races on the Detroit River. Experience art fairs, folk festivals and frenzied football fans. Play a round—or two—at the award-winning Leslie Park Golf Course. Rent a raft, tube, canoe or kayak and hit the Huron River Water Trail. Discover art galleries, jazz clubs, fresh fare and even hidden fairy doors. Quench your thirst on Beer City USA’s trail of more than 40 local craft breweries. Climb Lake Michigan’s towering sand dunes or pedal your way around miles of urban and scenic bike trails. Enjoy live music and innovative art at the Frederik Meijer Gardens and Sculpture Park. Welkom to a city of tulips, windmills, beaches and bistros. Watch a 250-year-old Dutch windmill actively grind wheat berries. Get lost in a sea of colors amid the millions of tulips, daffodils, hyacinths and crocus at the Veldheer Tulip Gardens. Hit the beach or charter a boat to soak up cool lake breezes before heading back to shore to enjoy award-winning local brews, wines and farm-to-table fare. The Wolverine has a Trails & Rails program operating from Chicago, Illinois to Niles, Michigan and is operated by staff and volunteers of the Indiana Dunes National Lakeshore.